At the beginning of every year, I like to think about what I'm praying about. As I reflect on the past year and examine all that has occurred and changed in my life, I consider how my prayers should shift. I believe that along with all of our other goals, we should also have prayer goals. What is a prayer goal? A prayer goal is simply committing to regularly pray for a specific thing, person, situation or issue for the year--or until an answer arrives. Now don't get me wrong. I'm not suggesting that we write out a rigid set of prayers goals to which we adhere, and pray about nothing else. That would be foolish. I am suggesting it would benefit us to target specific areas in our lives. Persistent, focused prayer brings results. 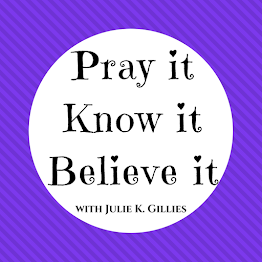 How do we know what to pray about? Think about what's on your mind and heart. What is troubling you? What are your dreams? What one thing about yourself would you change, if you could? Those are good places to start. And remember--you can pray about what to pray about. Ask God to show you what areas in your life to target in prayer this year. What if it's not God's will but I'm praying for it? I assure you, the time/space continuum will not warp. In my experience, when I pray outside of God's will, one of two things happens: my heart changes so that I change how I'm praying, or God clearly convicts me of wrong motives and shows me that this prayer is not His will. That always stops me in my tracks. God is sovereign, and we can trust Him to answer our prayers within the bounds of His will. How specifically, exactly, should I pray? As specific as you can get. I lay it all out to God and include everything I can think of. I make my specific requests known to Him. At the same time, I trust God to accomplish His plan and purpose in that area or situation--not mine. If the results of my prayer don't match my specific requests, that's okay. God is in control--not me. How about you? 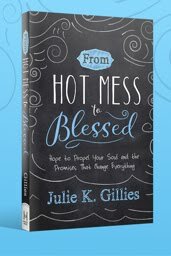 Do you have prayer goals for 2011? 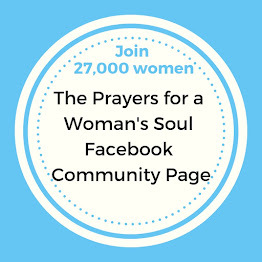 Leave a prayer request in the comments and I will pray for you this week. 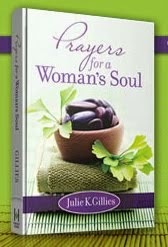 Julie, prayer is so important. I love knowing there are prayer warriors like you lifting me and my concerns to the Lord. My requests right now aren't for myself, though. I ask prayer for my writer pal Krista Phillips, whose six-month-old daughter is awaiting a heart transplant, and my writer friend Sarah Forgrave's sister Jenny, also awaiting a transplant. In addition, I'd ask prayer for the families who will be giving the gift of life in the midst of their own loss. Oh Keli, thank you for sharing these prayer needs. I will be lifting them up all week! I think my prayer goals for this year are to be more focused in prayer. A few days ago, my small group decided to break into prayer accountability partners so we could be more steadfast in praying for each other, so I'm praying that through that I'll pray more, and be more focused on praying for others. I simply need to pray more focused. I find myself just praying hurriedly, not real focused. Wonderful! I had not thought in terms of prayer goals. Yours is a word in due season. My prayers for those mentioned. What a great post, Julie! I love the idea of prayer goals. So far I would say my only prayer goal WAS (I will have to think about your suggestions more) to simply pray MORE. I know that God faithfully answers prayer because He has faithfully answered in the past. And it's an awesome privilege to have direct access to His throne. So why wouldn't I pray more and more?! My prayer request is for Rise & Shine Women's Retreat. As I think you already know, one team member has stepped down from her leadership role. Two team members are praying for direction. Lots of details...I'm simply asking that you will give the 3 remaining team members (including myself) CLEAR direction and conviction for the coming year. And that God will cause new people to rise up to fill several leadership roles that we need filled. THANKS so much!! Julie this is a great idea! I do write my prayers, many times. But I've never set prayer goals. Your explaination was very good, too. I love the idea of prayer goals. You've got me thinking of what mine will be. One of my favorite ones from the past is to feel more pulled to be in communication with God. A second is to step out of my busyness to God working around me. I love both of these, partly because when I ask, my prayer life and my seeing seem to immediately recharge. It's good we need to ask God for things--God is always ready to pull us up on his knee. My prayer goals for 2011 are to commit to praying each day for anyone who has a prayer request. Wow! I. Love. Your. Blog. I just read the snippet from your childhood and your "About me"!! Crazy stuff!! I'm always amazed by how wonderful our God is!! There is nothing He can't do! :) I'm looking forward to reading more of your story. And I love the idea of a year of focused prayer! One of my goals would be to start a prayer journal, like you mentioned. How great to look back and see the work the Lord has done in your life! Finally getting a chance late tonight to come over. We are in the midst of a difficult week. My mother-in-law passed away on Monday. The family will begin to arrive Thurs night, and the memorial service will be on Sat. afternoon. Your prayers will be much appreciated, Julie. Thank you! "God is sovereign, and we can trust Him to answer our prayers within the bounds of His will." I love that, Julie. It's so wise, so true. At the top of my prayer list right is my oldest son, who's waiting for the Lord to open just the right ministry job. Thanks, Julie. I am really struggling with the concept of how specific prayer should be? It seems almost arrogant that I should explain to God (who already knows my thoughts and heart) how I think things should go (when He is Sovereign). At the same time, I recognize a lack of faith in my generalized prayers ending in 'your will be done.' I'm not exactly putting a ton of trust in Him... it seems so confusing at times, especially when I throw in surrender. So, my request is that God would make it clear to me in no uncertain terms, just how specific He desires my prayers to be. is far more than most people need.